Dr. Nathan is recognized worldwide for his expertise on international education programs. 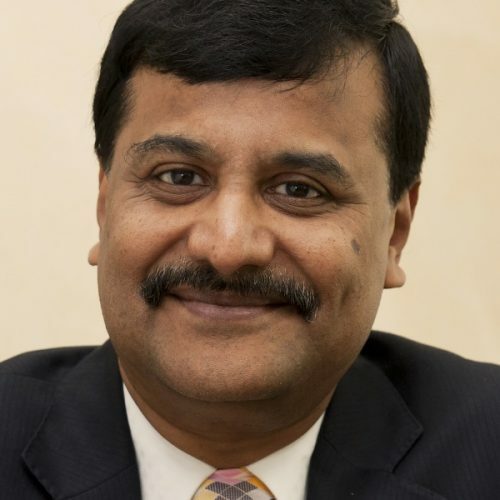 He is a member of the EDU Alliance Group’s board of directors, and is Managing Partner and Co-Founder of Edu Alliance Ltd. based in Abu Dhabi, United Arab Emirates. In international education, what is the status of the United States? The United States is the leader when it comes to higher education. In K-12 it is probably the UK, but when it comes to higher education and tertiary education, the US is thought of as the best for a couple of reasons. A vast majority of the top ranked universities in the world are in the US. The US is the most mature higher education system. There is a wide range of universities: 5000 colleges and universities – from top research universities – Stanford, Yale, and MIT to for-profit colleges, community colleges, and small operations. The breadth, the quality, the numbers are just tremendous. There are colleges that fit what many people from around the world need. In addition, many international students who studied in the US and have gone back to their home countries and have succeeded as businessmen and policy makers. Those alumni have connections and familiarity with US Higher Education. That has a major impact. Are changes in the American political climate affecting that? It is a concern in many parts of the world that traditionally send students to the US. Even South America has started looking to Australia to send students for English language training. India, the second largest international student population, is showing concern. There have been incidents against Indians in the US. Middle Eastern countries are concerned. China is not so much. This impact may not be felt this Fall because most students apply one year ahead. The real test will come next Fall. There could be a decline of as much as 25% of international students coming to the US in the next year or so. That’s because of the social and cultural climate. Second is the immigration part. There are bills to reduce immigration and to control students working after they graduate. That is sending the wrong signal to graduate students. All in all, it is a serious situation. What can colleges and universities do? Many universities try to reassure students that they will take care of them, but that’s a bit pointless. They cannot really, in fact, control what goes on in the streets and in society. They can, to some small extent, help; but we think they need to think differently for the next few years. They need different strategies to reach out. If they collaborate in the Middle East, do some kind of two-plus-two program, two years locally, two years in the US. That could buy some time for things to settle. More entrepreneurial universities should think about establishing branch campuses. Wealthy and top ranked universities don’t establish branch campuses because they don’t get the same quality of students. But mid-tier colleges and universities may need to really embrace branch campuses. If it’s done carefully, if it’s done right, interested investors will bring in money. It’s not a money issue, really. It’s more a willingness and adaptability of the schools and the boards. Do most schools know the steps to take? International programs have both an academic and economic impact. It can be complicated. Each of us at EDU Alliance has led a university and / or managed budget. We understand public and private education. We’ve worked from Harvard to second and third tier colleges. We are not theorists; we’re practitioners. We look at things very pragmatically, and the evidence of that is that in all our consulting projects, 95% of the recommendations we’ve made have been implemented. We look at a University from every aspect. We help develop a broad strategic plan, look at enrolment, look at the market, all very realistically. Because of our breadth of experience, we can attack the problems from different sides. But most importantly, we listen to the educators’ concerns. When we talk to a university – we understand and appreciate their needs and concerns. In the US, we stand ready to help universities think strategically and out of the box about their international programs. We can help them understand what students and stakeholders need. That is the starting point. As they decide their next steps, we can help implement their internationalization strategies including establishing partnerships and alliances in many regions of the world.